Already the Constitution and our rights enumerated within it have been relegated to impotency and practically abrogated. 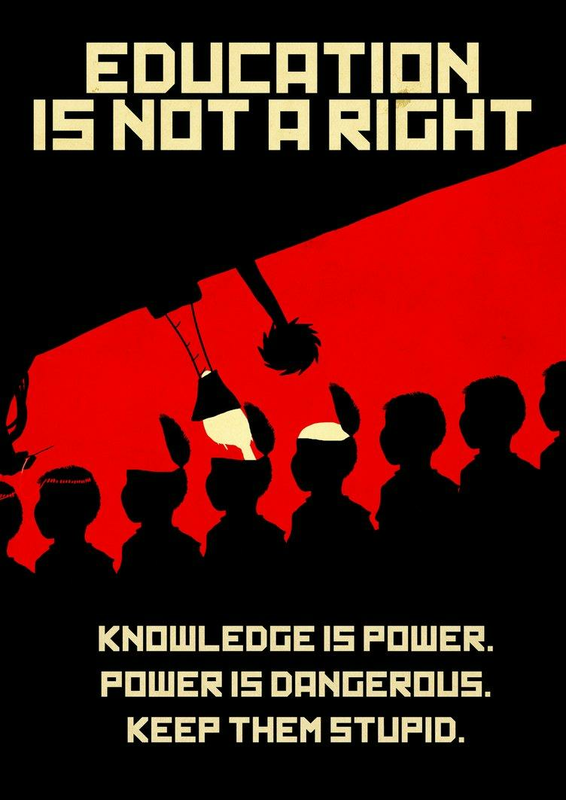 The key to this has not been the use of force, but the molding of thought and behavior over the decades within the schools, within the fostered predictive programming of pop culture and television, and within the lying, Marxist, mainstream media. Currently there are 22 states that have made a crime of what is referred to as “disturbing the school,” and this has led to thousands of arrests of students for such things as interrupting a teacher, or even belching in class. Schools have an increased police presence; however, as we have seen with the school shootings this year, they certainly aren’t there to protect the students. Police are in schools to enforce conformity and submissive behavior: they’re managing the “troupe” of juveniles, driving the herd. Collective, community thought is the mantra. Advertisements on the radio for high-school sports list all of the acceptable skills that sports convey: leadership, teamwork, cooperation, etc. Gone is personal development, let alone “fun,” the latter being archaic and non-utilitarian. In the past 3 to 4 decades, this collective “consciousness” has become the norm. Creative thought is discouraged unless it is directed... directed by authorities or “approved” controllers/managers. Such thought is supplemented by the actions of those authorities, mislabeled as “government” when the appropriate term is rule. An article ran out of News 4, posted on NBC Washington on 5/17/18 entitled Potential Spy Devices Which Track Cellphones, Intercept Calls Found All Over D.C., Md., Va. It is worth reading, as it details the Stingray technology (carried in a briefcase) that capture cellular telephones by tricking them into believing the devices are cell phone towers. This means the phones are tracked, and the government is taking information on them surreptitiously. Joe Pinkstone wrote another article for Daily Mail entitled Google’s disturbing vision of TOTAL data collection, released on 5/18/18. The article is very informative, and it presents all of the information (in list form) collected both by Google and Facebook for their data files. China has recently rolled out a new camera facial recognition system that can sift through a billion people in a matter of seconds. As written in previous articles, Bill Gates and other corporate investors plan to place 500 satellites into orbit and provide total global coverage in real-time with high-resolution cameras. Cameras and devices have been incorporated into appliances within people’s homes, with links to both law enforcement and private sector corporate monitors with ties to the government. One of the greatest problems with all of this is the fostered dependency on these electronic gadgets where many (if not most) people believe they cannot do without them: cell phones, computers, and social media outlets. Every week a new report or story surfaces that shows just how far the government and the corporate interests are pushing this electronic dependency, while the schools are shaping the consciousness of the public and making it ever more malleable. Toward what end? Toward the one that recurs throughout history. We have been warned by Orwell, by Solzhenitsyn, and many others. Whether we will heed those warnings and take preventative measures remains to be seen. The definition of tyranny can be measured and defined within the words of the Declaration of Independence. 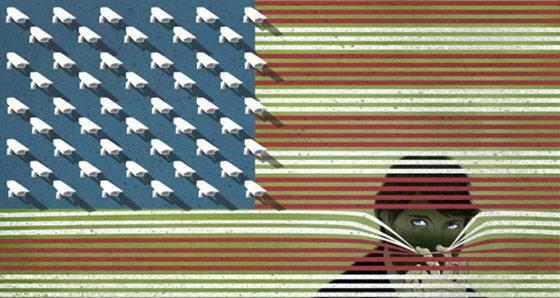 We are seeing such a state metastasizing by the day, as the surveillance state is fine-tuned for the final act...a performance that has not happened but is entirely predictable by any who examine the course of history and our past.